Seeing as how today marks the halfway point of the year (hard to believe, isn’t it? 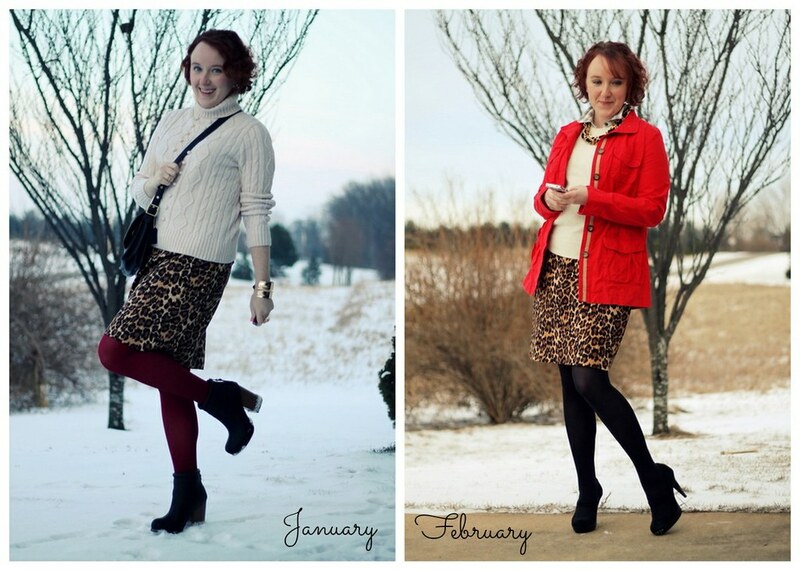 ), I thought I’d take the opportunity to recap my staple of the year series. 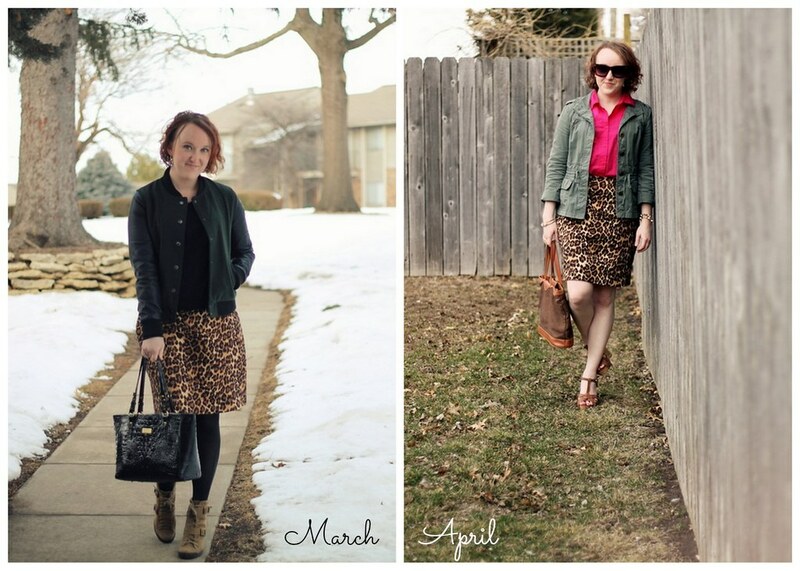 My goal with this feature was to show just how versatile one piece of my wardrobe could be, and of course it had to be my leopard pencil skirt! 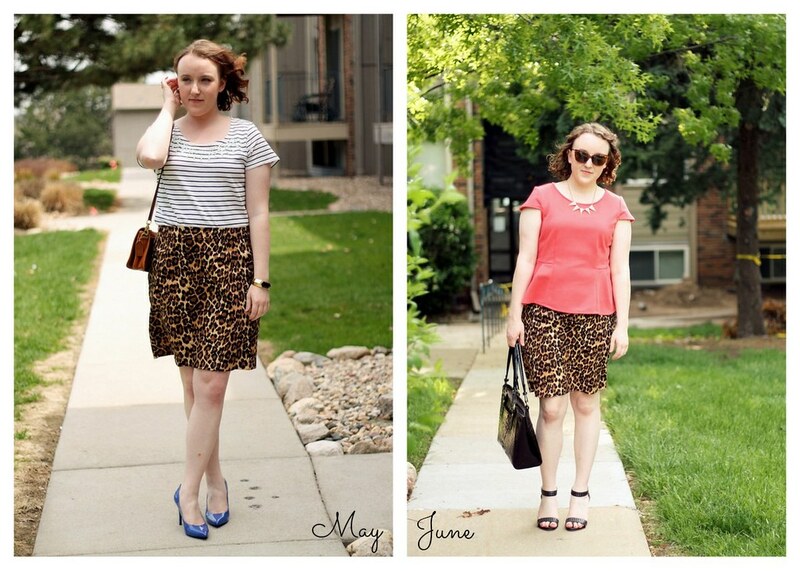 Stripes, textures and pops of color keep it interesting and fresh, so next week when I reveal July’s way of styling the skirt, I’ll be sure to pull some inspiration from these previous ways of wearing it. It was a busy weekend for me; my roommate and I just got back last night, and after a week full of tears, packing, driving and unpacking, I’m looking forward to the short work week (thanks to Independence Day!). My parents are stopping through on their way to Utah, and I’m excited for them to see the apartment! My dad hasn’t seen it at all, and the last time my mom saw it was when she helped me move in. Boxes full of things don’t exactly make the most glamorous place!